The song Norah Jones - Happy Pills is professional recreation. It is not by the original artist. Are You Lonesome Tonight? Norah Jones Your browser does not support the audio tag. Chasing Pirates Norah Jones Your browser does not support the audio tag. Come Away With Me Norah Jones Your browser does not support the audio tag. Don't Know Why Norah Jones Your browser does not support the audio tag. 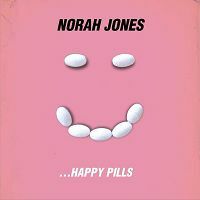 Happy Pills Norah Jones Your browser does not support the audio tag. Sunrise Norah Jones Your browser does not support the audio tag. Thinking About You Norah Jones Your browser does not support the audio tag. Those Sweet Words Norah Jones Your browser does not support the audio tag. What Am I To You? Norah Jones Your browser does not support the audio tag.